Artsplosure is a Raleigh’s citywide arts festive that combines “explosion” of art activity with people’s “exposure” to all types of art. 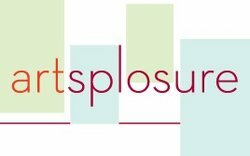 Artsplosure is focused on presenting thousands of established and emerging local or regional artists. Held in downtown Raleigh, Artsplosure brings 80,000 attendees to be introduced and appreciate art. It has been the premier arts festival in central North Carolina for 30 years. Around the streets surrounding Moore Square in downtown Raleigh, over 170 visual artists showcase and sell their artwork. Throughout the weekend, they also have musicians perform and showcase large-scale art installations. What more can you ask for…music, art, shopping and the event is free to the public! Several museums participate in the festival by providing exhibitions and collaborations with other art advocacy groups. Artsplosure also offers a festival within a festival just for kids called Kidsplosure. There are a few events children can participate in. Joyful Noise is an event where kids morph air into music using repurposed materials to create unique wind chimes, Cozy Catepillars where they create art with recycled paper products, Winged Wonders, and Kids Rock Artsplosure at the Marbles Kids Museum.